In this survey of the 39 books of the Old Testament Dr. Bailey focuses on key concepts in each of the studies, and has interspersed many wonderful insights from his vast experience. 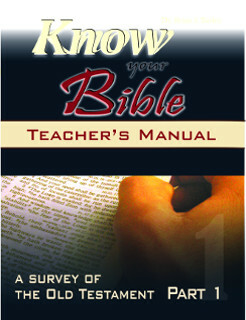 Through this well-written survey, you will easily grasp the salient truths that flow through the pages of God’s Book and gain a greater desire to study His Word. This is a set which includes Part 1 & 2.